As we all now know Brendon and Rachel are engaged. The wedding preparations are already underway. No wedding date has been announced yet but I'm sure we will know when soon. Rachel has been tweeting a lot about the planning of their wedding. So I am starting this thread to keep us all updated on the wedding. Rachel has been posting lots of pictures so I'm gonna do my best to post it here. No chatter here. Only wedding updates here. Otherwise it will get moved or removed. If you must bash or whatever, do it in the discussion thread, please. Thanks! WOW! I didn't know they were engaged or planning a wedding. Thanks Will for keeping us informed! Brendon and Rachel filmed earlier today some sort of a documentary of their love story and upcoming wedding. Don't know who they were filming for, whether it was for a TV show or a website. Will update on that once I get the info. 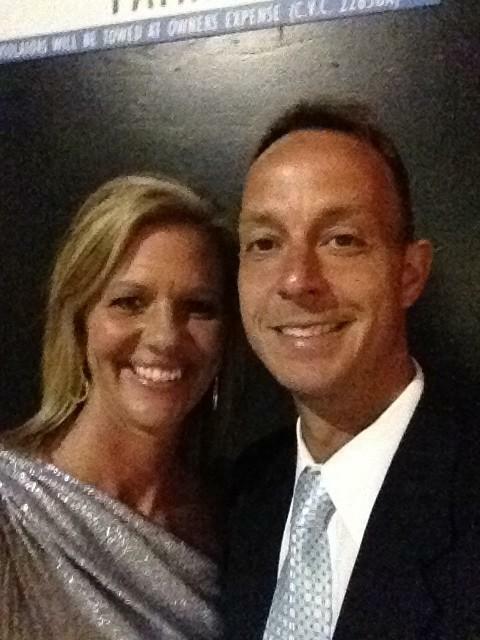 http://www.ultimateweddingcontest.com/entry/147092 PLEASE VOTE FOR US FRIEND OR FRIENEMIES, LOVE US OR HATE US! WE REALLLLLLLLY WANT THIS! Ours is a modern fairytale, having met on a TVshow & being locked away with each other. It was a fate fostered by TV & our love for science. We fought together against all odds, my knight saved me, &we continued our new public image, through trials we triumphed. We began on the set of a famous reality show but continue in the intimacy of our own home! Our proposal was one for the books, hot air balloon ride, and a proposal on the beach under the star he bought for me,his little star. The moment the sun sets and the sky turns pink-orange over Lake Las Vegas, we will be floating on a barge and exchanging our own vows. Then guests will be taken to a remote beach, where contemporary Vegas will be recreated with blackjack tables, a DJ&lounge performers, cocktails, food, and a beach bonfire with smores. Once the stars settle in the sky, we'll take to 75-ft houseboats on the water, as floating hotels with friends and family,where the celebration of our love, fun will continue. We are a contempory traditional couple and would decorate in dark woods and bamboo, with lots of natural light and soft light fixtures. We would love space for us to host dinner parties and celebrate life with family and friends. We would use inviting decorations with earthy feels, lavish textures, that promote a warm, sensual feeling. Most importantly, it would be a place for us to escape from the everyday and be able to relish our lives together, and entertain with friends. Rachel filmed another scene for The Bold and the Beautiful earlier today. Will let you know when the airdate is. Still no word on when the wedding is but preparations is ongoing. Per Ugot's previous post, they are trying to win the ultimate wedding package. Please vote for them! Rachel filmed some scenes for a feature film today. She's not saying what the movie is. Brendon is back on twitter, same ID as before but have to follow him again. Brendon and Rachel are campaigning real hard for votes to win the Ultimate Wedding Package by Crate & Barrel. They look happy don't they. I think it's great that Rachel is being asked back again for the B&B and now a part in a film! Good for her. Brendon and Rachel filmed more scenes for The Bold and the Beautiful earlier today. Here's a pic of them while they were on set. 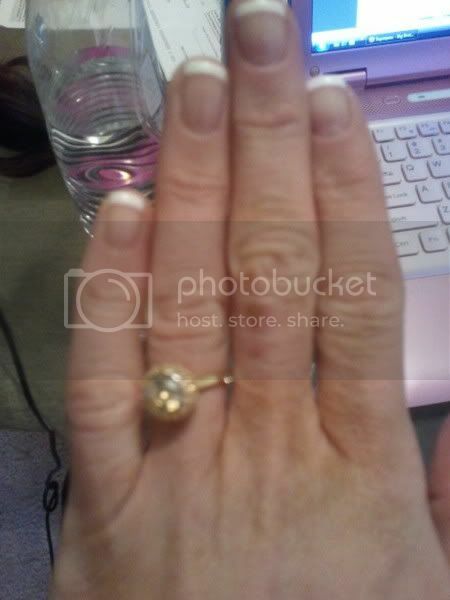 The rumor of the wedding date is Sunday, September 4,2011. I will follow up on this, mark my words! Brendon and Rachel attended the Reality Rocks Expo yesterday. LOL at the handcuffs! They do look happy. Rachel and Brendon will be appearing on Brides of Beverly Hills. I'm not sure yet if she will be on this season or she is in taping now. here is the link for the series it starts June 16th! If you are going to the Vegas Bash(via www.liveatthestudio.com purchase) and want to go to the Bridal Shower there will NOT be a charge to enter the bridal shower however donations are acceptable and you MUST bring a gift! I went to his facebook page to send him a birthday wish and lo and behold, he disabled his wall so that nobody can post stuff on it. We know why. He and Rachel is doing BB13. Rumored wedding date is May 12, 2012. I had no idea they were even back together. Congrats to them. Looking forward to... well. You know. Well as annoying as Brendon & Rachel both were during BB, I still must say I am happy for them both. Congrats to the happy couple. But lord, help us if they end up back in the BB house tonight. Rachel tweeted/facebooked yesterday that she and Brendon have SET THE DATE! And not just that, found a venue for their wedding. She didn't say when or where yet but I'm sure we'll know soon. Lookie who i saw on HGTV! ha ha ha and you thought she had CBS cornered! Nobody cares about these 2 idiots. They totally ruin every season they are on and everyone is relieved the cry baby and her whipped bf will not be seen this year. DON'T HATE, i'm sooo tired of these Brenchel haters!!!!! i care.....i liked rachel both seasons....only because she made the show worth watching. there was actually drama on the show. i was hoping she came back so we could have Janie vs Rachel.....two best female players ever...would have been epic!! I'm happy for them. This should be fun to watch. They are a thrifty pair! Brendon and Rachel are getting married on September 8th. Rachel is having her Bachelorette party this weekend in Vegas with Chelsia, BB9 and Porsche, BB13 among others. Six more days until they get married. They have been busy filming for My Fair Wedding with David Tutera. Their wedding will air on Saturday,December 15th! Lots of Big Brother and Amazing Race alumni are attending. I'm sure some people will tweet pictures next weekend and I'll post if I see any. Rachel looks really good. Her hair seems to be more of a normal color. I'm really happy for her and Brendon. BRENDON JOSEF VILLEGAS AND RACHEL ELAINE REILLY! I will keep an eye on twitter today for any pictures and will post here if I see any. Sending good vibes and wishing them the best wishes! Congratulations to both of them! Happy wedding day. Getting ready for the #BrenchelWedding - should be a fun and crazy day! Thank you to everyone. Today I officially become the luckiest man in the world! #brenchelwedding ommmmmmg! @DavidTutera @wetv dying right now all I can say is yaaaaaaaaaay! Thank You! & CANT WAIT 2 MARRY MY BFF!!! I thought the ceremony was over when I read Brendon's tweet. Guess not after Rachel's. Matt Hoffman from BB12 was ordained as a ministor 7 years ago. He tweeted this picture as proof. He will be officiating Brendon and Rachel's wedding tonight. The bride's entrance was ... well... RE-DONK-U-LOUS. I can't wait for you to see it on "My Fair Wedding!" The wedding guests were under a gag order not to take any pictures of the wedding. I guess it's because it's being filmed for My Fair Wedding which will air on Saturday, December 15th. Rachel Reilly and Brendon Villegas spent two summers living with strangers on Big Brother and traveled around the world on The Amazing Race, but now they have taken their boldest trip ever – down the wedding aisle. The reality stars married Saturday atop the AT&T Center in downtown Los Angeles, where the redheaded bride arrived via helicopter. "She wanted to arrive like a big celebrity," celebrity wedding planner – and host of WE tv's My Fair Wedding – David Tutera tells PEOPLE. "The guests will watch her arrive on live camera before she walks down the aisle, which to me is one of the most over the top processionals ever." Being over the top is nothing new to Reilly, 27, who met Villegas, 32, while filming Big Brother 12 in the summer of 2010. 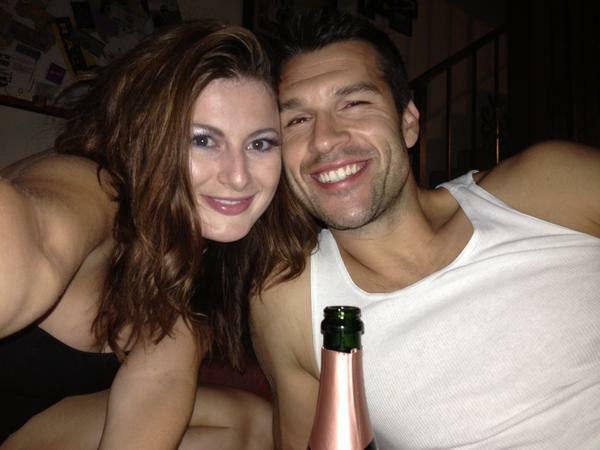 Their alliance – known to fans as "Brenchel" – turned romantic early on in the season. 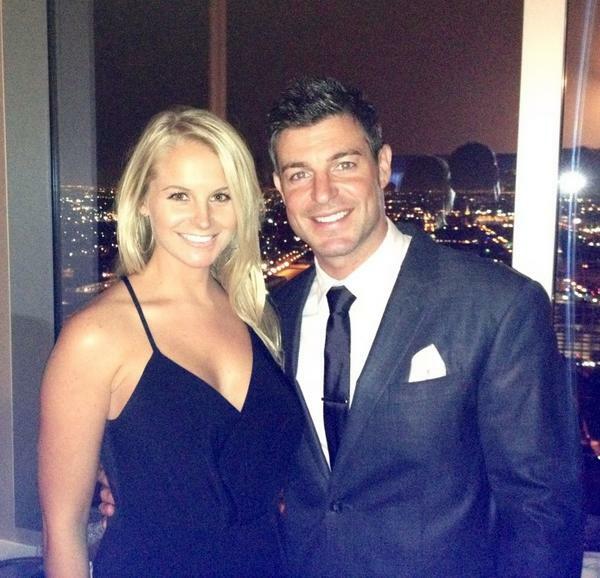 And the couple was engaged less than a year later before returning to Big Brother 13, which Reilly won. "We get to start our future together," Reilly told PEOPLE after winning. And their future started with all the "glitter and sparkle" Reilly had hoped for while planning their nuptials. Reilly walked down the aisle at sunset in a floor-length, silver-sequined Missoni gown with a sweetheart neckline that was "not at all a bridal gown," says Tutera. "She's more comfortable in evening wear that you would wear down a red carpet than a white carpet," he says of the bride, who was accompanied by bridesmaids – including Big Brother's Chelsia Hart – in short, gold-and–silver sequined cocktail dresses with chiffon trains. After the ceremony officiated by Big Brother's Matt Hoffman, the groom – dressed in a white dinner jacket with black tuxedo pants – and his new bride were lowered in to the all-glass reception room using skills they learned while taking circus classes. Fellow Big Brother couple Jeff Schroeder and Jordan Lloyd were among the 130 guests at the celestial-themed reception that included all-white flower centerpieces with faux diamonds in the orchid heads, silver chairs with custom silver sequence chair backs and tables with silk, pewter underlays with silver sequins overlays that "looked like the patterns of glittering stars." "She wanted to have something that made her feel like she was in the sky," Tutera said of why he chose the downtown venue. "I wanted one of the highest locations in Los Angeles, giving her the ability to be the closest to the stars." Guests dined on a buffet of arugula and tomato salad, grilled chicken breast with balsamic glaze and grilled corn and black bean salad before enjoying sparkly silver and blue cupcakes from a display designed to look like a wedding cake, and they were treated to a performance Tutera referred to as "a retrospective of dance throughout time" that featured the bride in a white sequined tutu and the groom in bedazzled loafers and a sparkly shirt. Reilly and Villegas's big day will be showcased on the Dec. 15 season finale of My Fair Wedding: Unveiled on WE tv, which airs Saturdays 9 p.m. ET. I will say that after watching the episode and looking on twitter Im conflicted. At first I thought I was going to need a box of tissues and cry along with Brendon but then the editing on this was so not what I expected. To me it felt like more of a "Reality non Reality" event. Meaning that the editing put in all the things that would make someone look "bad" or come off looking "bad" in the public's eye. Now I know David really does this for a living but he also has a "reality show" and maybe he just played on the parts that we all know about Rachel and how Rachel is. Since I first saw Rachel come across my monitor.. I have grown to like her and adore her for her heart and I really just wanted this to be something that was so special that we all got to share. Rachel's twitter timeline is typical RACHEL tweeting to David how much fun things were and how much she loves him. SO I wonder just how much of this is "REAL" and how much of this is "REALITY TV"
Finally I will be getting some of my own answer's right from Rachel and Brendon because I will be part of an interview with her on Monday Nite!! So if you've got a question that you'd like to get an answer to PM me and we'll see if it gets picked as a "viewer question"! Learn more about David Tutera. Rachel and Brendon. Wow is all I can say. It was a roller coaster ride from the moment I met Rachel and Brendon to the moment I said goodbye…well, it was actually really hard to say goodbye to my bride under a bar, passed out…I knew I was in for a crazy ride since they were reality stars, and for me it was challenging because I never quite knew if my bride and groom were real, or if they were just real reality stars–that’s different. Someone who is so used to be on reality television, they’re going to know what to turn on what they need to do for the cameras and that’s what made it hard to get to know who they were as a bride and groom. But as time went on and I got a chance to see a little bit more of Brendon and Rachel, they weren’t that bad. They were fun, they were real, they were honest, emotional, over-the-top, dramatic and everything you’d expect them to be, but for me it was kind of interesting because Rachel did bug me. She pushed me to do things I really didn’t want to do; some of the decisions that were made for her wedding were ones that I would never normally do for my bride. For example, putting her in an Aerial Lyra (a circular suspended hoop), floating overhead as the guests walked into her reception–a bit comical and not as elegant as I typically like my bride to be. Even the first dance as bride and groom was over-choreographed. They were trying to overachieve a retrospective dance throughout history. It was something I would highly recommend my bride and groom not to do, but there was no telling the two of them no. They were always going for shock value which is how they won Big Brother and how they tried to win Amazing Race. I did remind my bride and groom that there were rules to this game on My Fair Wedding and if they didn’t want to play by them, they were not going to get a David Tutera My Fair Wedding. Ultimately, great wedding, great TV, lots of drama. But boy, did Rachel pull a fast one on me the night of the wedding: hiding under the bar, drunk, in a puddle of water in a multi-thousand dollar gown. I was upset but I came to find out as someone who doesn’t watch Big Brother, Rachel Reilly is known for hiding. She hid in the ocean, under furniture, in rooms…and ultimately, on My Fair Wedding, she hid under the bar. So Rachel Reilly is definitely good at being a reality TV star. DELETED SCENE- Guests at the wedding of Rachel and Brendon got their laugh on before the reception even started. Christmas is coming early for all you BRENCHAL FANS! Eric from Realiyt Recaps @Realityrecaps and I @Ugotbronx wrapped up a VIDEO interview with Brendon and Rachel late last nite!! It was about the My Fair Wedding! episode. Once the video is edited and uploaded (usually takes a day) I will post the youtube here! OH and Rachel and Brendon gave MAJOR PROPS to RFF in the interview!! so sit tight while the video is being edited! AWESOME! Thank you so much, Ugot! Maybe you can ask Brendon and Rachel to sign up here on RFF so we, the members can chat with them and ask questions. They will get the VIP treatment here. Hey! If they will come chat, I'll make sure they get VIP treatment. EXCLUSIVE "BRENCHEL WEDDING" INTERVIEW WITH BRENDON, RACHEL & BONUS FOOTAGE! Rachel Reilly stars in the "Real Drunk Housewives of San Fernando Valley."